David J. Ryder, the 39th Director of the United States Mint, assumed his new role on May 31, 2018. Ryder has extensive professional experience relevant to running the Mint, having served in other government positions and spent over 20 years working for companies that develop anti-counterfeiting technologies. He’s also served as the Mint director before, under presidents George H. W. Bush and William Jefferson Clinton, from September 1992 to November 1993. Mr. Ryder is the first presidentially-appointed and congressionally-approved Mint Director since Edmund C. Moy left the U.S. Mint in 2011. In the interim, the Mint was run by several people serving in an acting capacity. 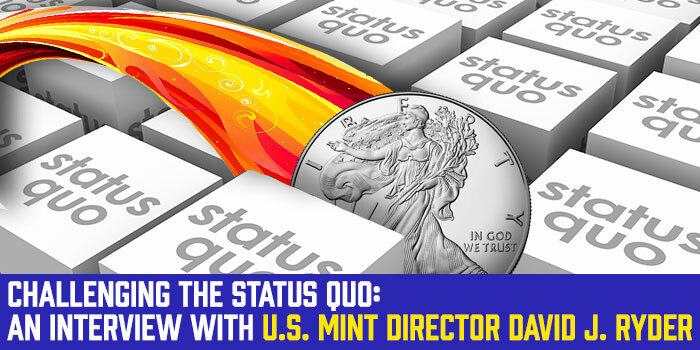 In less than a year, Mr. Ryder has already had a substantial impact on the U.S. Mint’s operations and products. 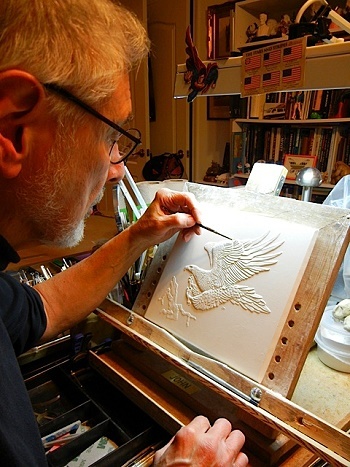 For example, he has initiated partnerships with several foreign mints to develop products jointly with them and recently appointed Joseph Menna as the 13th Chief Engraver after that position remained unfilled for almost a decade after the retirement of John Mercanti in 2010. To explore his current initiatives and his ideas for revitalizing the Mint, I conducted a wide-ranging interview with him on March 15 on everything from different forms of Liberty to how to better market numismatic products, work with the Congress to help craft legislation that impacts the Mint and encourage more young people to enter the hobby and many others. During our discussion, he shared some important news that has not been previously reported. Louis Golino: Last October during the third Numismatic Forum, you discussed plans to release a scarce coin into circulation. Is that still in the works? David Ryder: As has been reported, we put out that penny [the 2019-W Lincoln cent] in the proof set [the 2019 U.S. Mint Proof Set] that was pretty popular. Another program has not been announced and will be in a similar product, but I can’t yet go into details on that. I think the collector community will like it. I know the West Point penny has resulted in a dramatic rise in proof set sales, which tells me that has been pretty successful. I hope this next project will have a similar effect, and I plan on doing other things as time goes on in order to start getting collectors more interested in this hobby. I constantly talk to marketing people about things that will generate interest. LG: I am very interested in the coin design process and was pleased to learn of Joseph Menna’s recent appointment as the Mint’s Chief Engraver and believe that, once again, having someone in that position will improve the designs that appear on the Mint’s coins. Can you tell me more about the role he will play overseeing the coin design development process? DR: When I was Mint Director before, John Mercanti [who in 2006 became the 12th Chief Engraver] was there, and I think I appointed him. Then at some point, another director got rid of the position. One of the first things I did when I got here was to get the Chief Engraver position back into the Mint and engraving organization because I think it is important. I like Joseph’s style and his enthusiasm for the job, and think he will bring that to the Philadelphia Mint and engraver shop. I encourage them to do a much better job. I encouraged him to be creative and along those lines encouraged the CCAC [Citizens Coinage Advisory Committee] to be more creative in their selection of designs. I have been very vocal with our design staff to be more creative. I like the Artist Infusion Program to get more artists involved. I am a big proponent of changing the status quo as far as designs. And Treasury Secretary Steven Mnuchin is very involved in the process. I think with Joe on board and a different philosophy going forward with designs, I think it will go a long way. There are still things out of my control in the context of how designs are selected. But going forward I plan on being a proponent to help legislators better interpret the legislation and be more creative as far as designs. And to have language that gives designers more freedom, so I am a big proponent of changing the status quo. LG-: Are there particular aspects of the designs that you feel need to be improved, or is it more of an overall view? DR-: I listen to the CCAC a lot. I have met the Commission on Fine Arts and think the Mint has done a pretty good job on selecting designs, but I think we can do a better job. We need to try new things that have not been tried at the Mint. Coin redesign and things like that are important to put on the table and have a discussion about it. Doing the same thing over and over again is one thing. But trying to challenge the status quo is something I enjoy doing. Do I win every time? No, but I do have a voice and plan to use my voice. 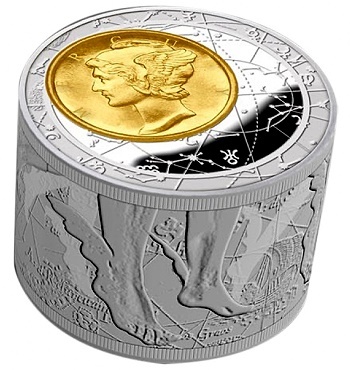 LG: In addition to the planned two-coin half dollar Apollo 11 50th anniversary set to be released in conjunction with the Royal Australian Mint, are there other programs in the works with other world mints such as a possible three-coin North American Mint set you discussed last summer at the ANA show or others? DR: This is always a work in progress, but I have an interesting program with the British Royal Mint on the 400th anniversary of the Mayflower landing in America. We are working a joint project with them that has come quite a long way. I hope to have that out yet this year, and the Royal Mint is very keen on the partnership. I am working with the Canadians [the Royal Canadian Mint] on doing a joint venture project, again hopefully this year, and have been in discussions with the Spanish and am also in conversations with the Italians on something that is not as far along. But you have to start the conversation. I am a big supporter of some of these foreign mints, which the U.S. has a little to learn from. The Polish Mint has some beautiful products, some really beautiful stuff. We can use the Mint’s muscle and develop joint products. It is an important part of the Mint to try to create these types of relationships. LG: During the last forum, you also discussed plans to work more closely with the Congress in shaping legislation that impacts the Mint. Can you please provide some highlights of what has happened in this area over the past six months? DR: It’s kind of a work in progress in the sense that I firmly believe that the United States Mint needs to work with Congress and educate those people who want to try to get legislation passed. 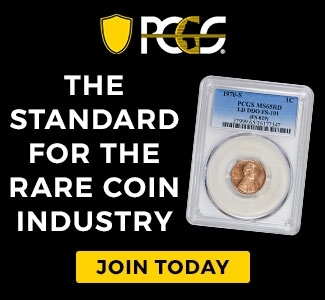 That instead of just tasking a piece of legislation for an important event, milestone, etc., the United States Mint work with Congress so that the legislation is the right legislation and that we have a say on mintage levels and a say on design and a say on how we market and sell it. If Congress is willing, which I believe they are, the Mint has an enormous amount of history and experience since 1980 when Lee Iacocca commissioned the Statue of Liberty commemorative coin program [In 1982, Iacocca was appointed to head the Statue of Liberty-Ellis Island Foundation that recommended commemorative coins be issued as part of its efforts to raise money for restoration of the monument. —LG] that was passed and was a huge success. I think we can help Congress create better legislation if we talk to them. It’s very simple. LG: Can you elaborate on plans to move away from depicting Lady Liberty as a female such as on the Visions of Liberty program and how it will differ from the current American Liberty series? DR: First of all, the Lady Liberty program itself is wildly successful and a very popular design. I love it. But that said, I have stated a number of times that Liberty takes a number of different forms, and there are a lot of interpretations of what Liberty means to a lot of different people. Back to the idea of offering new designs in the context of the 24K gold project, it is my responsibility is to give the Secretary as many choices as possible in the form of what Liberty means. If it is a starburst of a firework going off on the Fourth of July or something that, it takes so many different forms, and I am all in favor of changing the design to incorporate the different forms of Liberty, what it means for many different people. 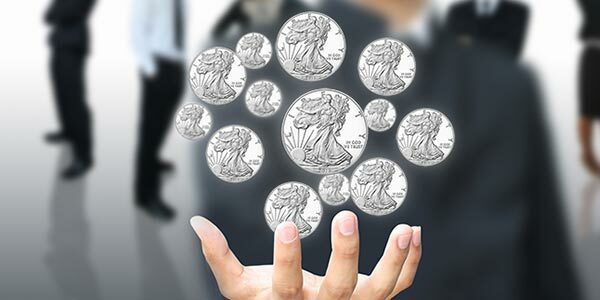 LG: Many collectors are concerned about rising premiums on numismatic items from the Mint, especially when coupled with rising precious metal prices. Are there ways those premiums could be reduced, such as selling coins in capsules without the other packaging? I know this is being done in the bulk sales program such as for proof Silver Eagles, but could it be extended to retail sales? DR: First of all, if I don’t listen to my customers, I will get in trouble. I have heard from a lot of customers that our pricing is too high. If I can make a sale to a customer that doesn’t need all the packaging, it is a smart thing to do. It is not something that I am doing right now, but it is something I have talked to my staff about, and we are going to be addressing those issues. If I a have a certain segment of my customers who would prefer that, it behooves me to listen to them and create a product for that segment. I think it makes all the sense in the world. I just recently hired a new director of marketing. I can’t get into who they are, but they have a lot of experience in this market and a lot of energy. There are a lot of changes I have already done and plan on doing in the whole marketing area of our products. LG: Are there plans in place or planned to encourage more young people to get involved in the hobby apart from the rocketship and dinosaur coin sets and some educational features of the Mint’s website? DR: It’s an area when I was Mint Director in the 90s, we created the Money Story — an educational tool that was meant for children up to sixth grade. It included a teacher’s curriculum guide, VHS tape and penny book to educate. I intend to promote this hobby to young kids in our schools. It’s the third- or fourth-ranked site in all of government, and a lot of that is with kids. I intend to focus a lot of products towards kids; we have an effort to do some new quarter programs. A lot of that is the efforts focused on kids and collecting, and I have said to my staff if I can get even a half of 1% of kids to become collectors, I think our customer base will be well-off for the foreseeable future. So, I think it is a duty of mine. I am not going to get them all, but with new types of tools, apps and digital marketing and things we are looking at growing the business. It is something I am very interested in. LG: Is the Mint exploring how to better retain older collectors, who are the mint’s core customers, and what are some examples of that? DR: Sure, there’s a lot of ways to do that. That is a very important segment of our business. When I was Mint Director before, my customer base was in excess of 2.5 million customers, give or take. We are now down below 500,00, and that is simply not acceptable. While it sounds like a large number, we have lost a lot of people maybe because of design, pricing, there are a lot of reasons. I can retain them if the price is right, if I create new designs, start doing things like privy marks. One of the important things is mintage levels. So, it’s a market that has sustained the Mint a long time, and I feel like I owe it to them, this market segment, to do things to retain customers, it’s a very important part of our business. Some of the things we are doing and will be doing are directly marketed at that segment. The Secretary has the authority to approve certain things while others are mandated by legislation. To the extent there are things we can control, I want to do that better with more creative designs, more creative products, and so on and so forth… Some things that are bound by legislation, but there is nothing that says you can’t go and talk to a legislator. It’s sometimes difficult to go that way. There is a lot of tradition in this country, people who don’t want to see things changed, but there is nothing that says you can’t tweak something here or there. LG: You told me in a previous exchange that you are something of a collector yourself as a result of your overseas travels. DR: I think I have traveled to 148-150 foreign countries. And my guess is in my drawer, or in a box, I have currency from all over the world. I have got quite a number of plastic bags of coinage. Because of my age, and I started some 40-years ago, some of it may be collectors… I was in Afghanistan doing something in a previous life, and I was in a souk and someone was selling Saddam Hussein currency and Morgan silver dollars that I am sure were counterfeited. But you know when you travel, you see all sorts of things in markets, etc. I probably do have quite an interesting collection. My wife would probably like to see me get rid of a lot of the boxes. I am keeping it around for the kids. Maybe someday I will go through it all and see what is there. LG: Finally, does the Mint view the issue of changing the reverse of the silver eagle as closed at least for now? Would it be possible to use a new reverse such as the one recommended several years ago by the CCAC [Design change can be recommended once every 25 years. –LG] that was used on the 2016 American Liberty silver medals and gold coins on a numismatic program such as the proof Silver Eagle, perhaps with a new reverse each year as the Royal Mint does with its proof Britannia program? DR: I will explore it. You are correct that the Secretary has the authority to change a design after 25 years. I am not going to go out and do something on my own. It has to be something the Secretary is involved with. The types of coinage you are talking about are pretty steeped in tradition, and if we change it, it will be around another 25 years. So, we have to be careful and due diligence on what a design change might be. But yes, I am absolutely interested in discussing those possibilities, but it is not ultimately my decision. It has to be done in consultation with all those people, etc. If the Secretary decides he wants to do that, my job is to make sure he has designs to choose from, and there has to be due diligence with people like you in this industry, those with a stake, and that it is timeless and emblematic of the United States of America and that it is something people would want to collect. I am more inclined to present something to the Secretary at the appropriate time and see what he has to say. 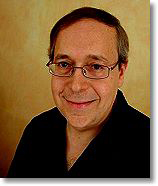 Louis Golino is an award-winning numismatic journalist and writer, specializing primarily in modern U.S. and world coins. His work has appeared in CoinWeek since 2011. 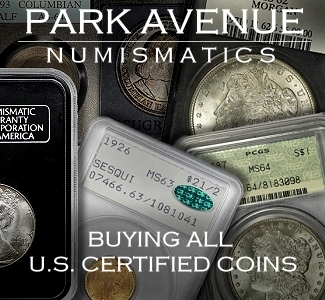 He also currently writes regular features for Coin World, The Numismatist, and CoinUpdate.com, and has been published in Numismatic News, COINage, and FUNTopics, among other coin publications. He has also been widely published on international political, military, and economic issues. In October 2018, he received a literary award from the Pennsylvania Association of Numismatists (PAN) for his 2017 article, “Lady Liberty: America’s Enduring Numismatic Motif” that appeared in The Clarion. OUTSTANDING interview. It dovetails with the comments Director Ryder made at the PAN dinner in Pittsburgh on March 27. In fact, he seems even more committed to the ASE re-design now.